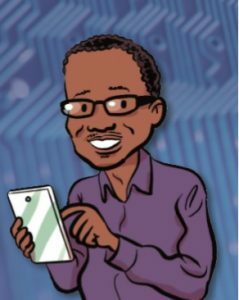 A children’s book aimed at explaining what sorts of careers are available to them in the future includes an interview with Dr Jason Nurse from the School of Computing. Dr Nurse is featured in the book called Fantastic jobs and how to get them, which has a particular focus on jobs in the fields of science, technology, engineering and mathematics (STEM). Dr Nurse is included as a ‘social media scientist’ which makes reference to his work examining how we use the internet, stay safe online, and identify and avoid fake news. This entry was posted in international, security and tagged cyber security, security. Bookmark the permalink.